It is important to have shoes you feel comfortable yet stylish in, women's flat shoes can provide both of these! Coming in a variety of different styles, if you are looking for a pair for work then you can opt for a smart casual ballerina shoe which would great with a midi skirt. 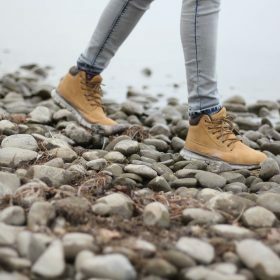 Alternatively if you need some shoes that are durable and you can wear on long walks then take a look on our outdoors shoes category where you are sure to find something suitable.